Every once in awhile one of my kids asks me to read something that they really enjoyed, or they feel passionately about. My daughter recently brought my attention to a small book of poetry written by someone she follows on Tumblr. My girl, on the blog known as Thing 2, is intrigued by Angels and the stories that surround them. For new readers, I will re-state that she is 19 and away at college. I would most likely read anything she wants me to at this point, just in an effort to be closer to her. Along with being my second born, she is also one of my best and closest friends. She is a knucklehead intellectual who forces me to think deeper about a lot of things than I normally would. So when she told me that she really enjoyed some of the tidbits this woman had shared on Tumblr and wanted to read her published book I said "How about I get it for the blog, and when I'm done with it I'll mail it to you with my notes." 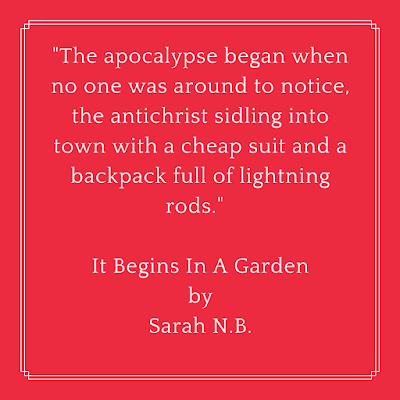 So that's how It Begins In a Garden by Sarah N.B. ends up being reviewed on a 41 year old who has also reviewed Bridget Jones's Baby's book blog. This small (I believe it's 91 pages) book of religious poetry and prose is not for everyone by a long shot. You definitely have to know theology to have any idea of what's being talked about, and yet some of it might put off the more staunch follower due to it's more progressive passages. It is both a very Catholic book, and yet not a Catholic book at all. Reverent and yet irreverent. It is basically a very well-written enigma of religious prose. It was easy to see why my daughter would follow this writer online. Her favorite Angels Michael and Gabriel played their parts...although the passages dealing with them were not my personal favorites. We'll have to see which speak to Thing 2 the most once I've passed it to her. My favorite "chapter" is called Spem In Alium. It involved a priest being pestered by angels...and one in particular having issues with how much involvement he should have in people's lives, and whether the priest could take his confession. I honestly would read an entire novel of this story. I enjoyed reading this for a couple reasons. One was, of course, the shared experience of knowing I will have the chance to discuss this with my daughter once I've sent it her way. One of my favorite parts of attending church was going for a coffee afterwards and talking to her about what we'd learned and how it fit into our personal beliefs, etc. Another reason was just shaking up my reading a bit. I occasionally get in a rut of reading the same types of books, and I'd prefer to hop around from genre to genre. I don't want to become a stale and stagnant reader. I want to stay excited by my books. 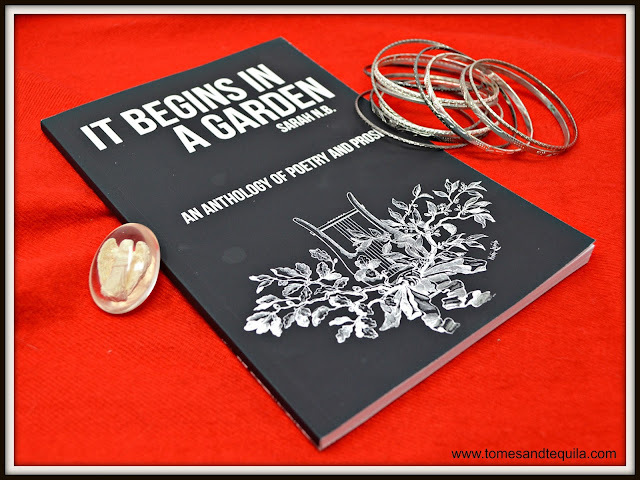 It Begins In a Garden was like a wake up call to continue trying to find diversity in my reading. Have you read anything outside of your norm recently?? 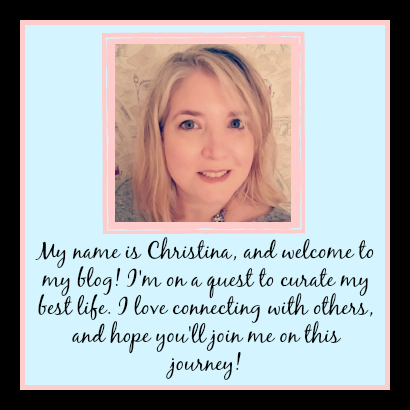 Let me know in the comments here or over on my Facebook page. 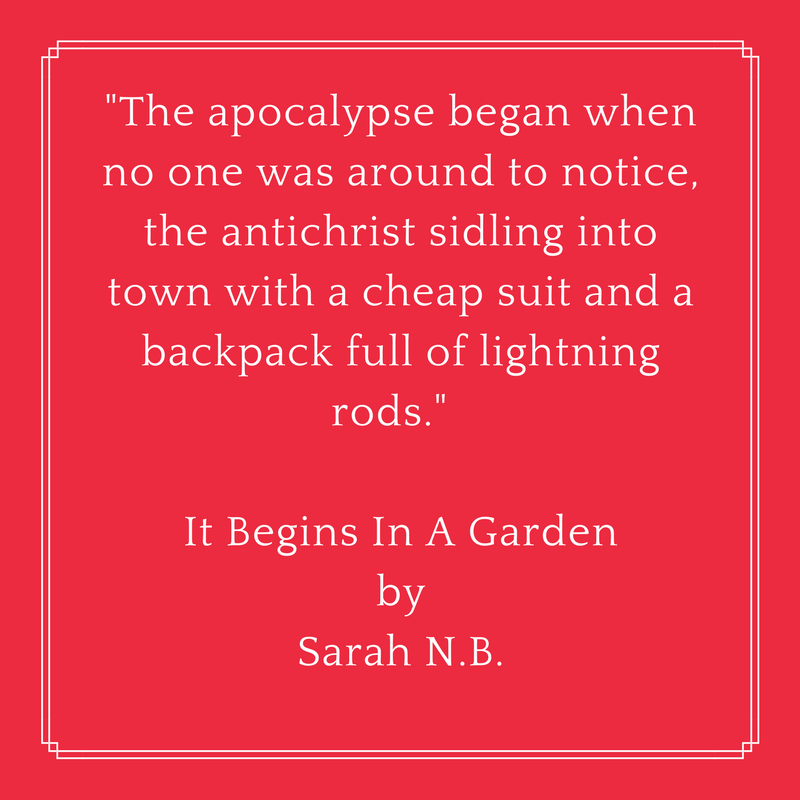 Labels: book review, Poetry, Sarah N.B.